Milan: Juventus defender Leonardo Bonucci has been ruled out for up to two months, leaving the injury-ravaged Serie A champions without their formidable three-man defence. Bonucci, a reported target for Premier League giants Chelsea, has suffered several injury knocks this season and on Monday was diagnosed with a hamstring injury after being forced off during a shock 3-1 defeat at Genoa a day earlier. A statement from Juventus said Bonucci suffered a "a hamstring injury in his left thigh, with his recovery time expected to be around 45/60 days." Bonucci is set to undergo further tests that will determine his potential return date more precisely, but his absence is a further significant blow to Massimiliano Allegri's side as they chase glory at home and Europe. Juve could be without any of their 'BBC' defence - composed of Andrea Barzagli, Bonucci and Giorgio Chiellini - when they host high-flying Atalanta in Turin next Saturday. 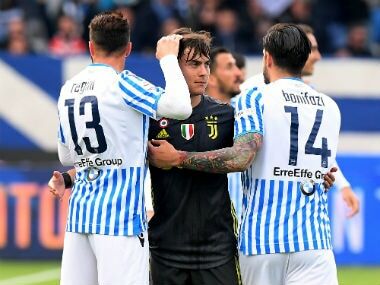 Barzagli was ruled out for two months two weeks ago after suffering a dislocated shoulder during a hard-fought 2-1 win at Chievo. On Sunday, Chiellini was fit enough only for the bench as he recovers from a recent knock. He remains a doubt for Saturday. Juve's woes deepened further on Sunday when utility midfielder Dani Alves suffered an injury that could sideline the former Barcelona star for three months. Alves went in for a late challenge at the Luigi Ferraris Stadium and came off worst, suffering "a compound fracture of the shin bone in his left leg," Juventus revealed. Testss on Monday "confirmed the diagnosis", the club said. "The recovery time will depend on further tests to be carried out in the coming days," Juve added. Allegri was forced to deploy an untried back three composed of Bonucci, Mehdi Benatia and Swiss wing-back Stephan Lichtsteiner. 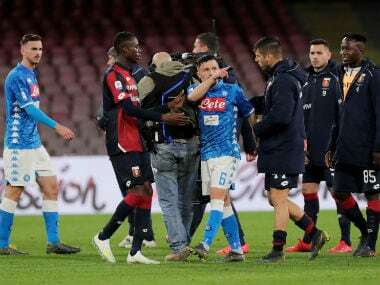 But Genoa hit two quickfire goals through Giovanni Simeone, who scored his second with a diving header after running unhindered past Benatia, and the hosts were 3-0 up before the half-hour when Juve's Brazilian wingback Alex Sandro directed a Luca Rigoni volley past goalkeeper Gianluigi Buffon and into his own net. Bonucci was forced off after 33 minutes and replaced with Daniele Rugani, who will now be expected to step up to the plate. 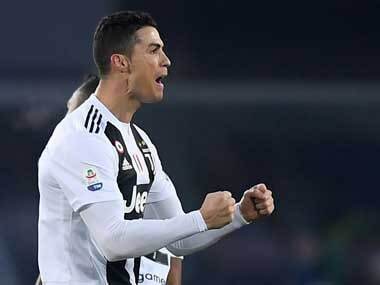 Juve's third defeat of the Serie A campaign has left them four points ahead of AC Milan and Roma, with Lazio just one point further adrift in fourth. The Turin giants have already secured qualification to the last 16 of the Champions League but are aiming to clinch top spot when they host Dinamo Zagreb next week.